So you’ve invested in a powerful tube amp and want to get ready for your next gig. As you may already know, to get the best distortion and optimum sound from your amp, you need to crank the volume up. But if you’re practicing at home, you’ll risk waking up your neighbors, so turning the volume up is not an option. At the same time, turning the volume down will compromise your sound, so that’s not an option either. This is where a good amp attenuator can be of great help. Attenuators go between the amp and the speakers to create a powerful output sound at any volume. They do this by taking some of the output power of the amp and converting it into heat. 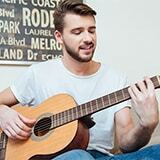 This way, you’ll still get a full, uncompromised sound without annoying your roommates and neighbors. In this article, I’ll take a look at some popular amp attenuators on the market. Here are my four picks for the best amp attenuator currently available. I’ve included models from different price ranges to ensure you can find what you’re looking for and not go over your budget. 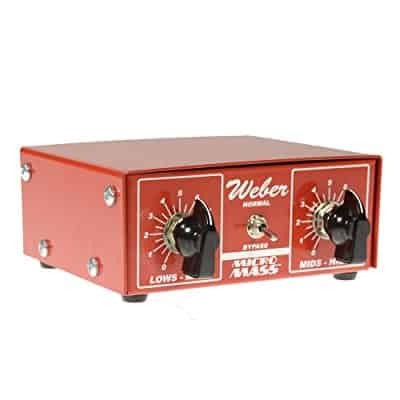 Over the last two decades, Weber has become one of the most popular brands of guitar speakers and other related equipment. Their budget-friendly MicroMass is a compact-sized attenuator that sports a rather simple and straightforward design. 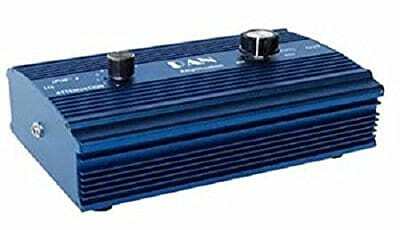 This is a 15-watt model, which means that you can only use it on amplifiers with an output power of 15W and under. The attenuator has two toggle knobs – one for low-frequency bass and one for high-frequency treble. With an impedance of 8 ohms, it will work on amps with 4, 12, or 16 ohms of impedance. Depending on your preference, the MicroMass can reduce the output volume of your amp by up to 50 decibels. This model has a built-in motor that sends processed signals directly to the speaker. As such, you’ll get minimum tone loss no matter what setting you opt for. And because of its small size compared to other attenuators out there, you can easily pack this one in your bag and take it on the road. The PB-1 attenuator from KLD is another inexpensive, small-sized model that performs on par with some of the more expensive alternatives out there. It has an aluminum alloy case that gets rid of heat at a faster rate, thus resulting in more efficient sound processing. The unit is also very powerful as it can work with any amplifier that has an output power of up to 100 watts. Like the previous model, this attenuator also sports a no-frills design with two toggle knobs on top. The one on the left has five different attenuation settings ranging from the full bypass to -7.2 dB. 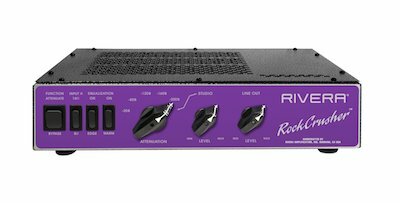 This is primarily intended for on-stage use as the settings allow you to get a more fine-tuned output sound. The right-side knob lets you set your preferred volume and is thus ideal for when you’re practicing at home. This small unit can deliver an attenuation of up to -30dB, which might not be enough for some. But on the plus side, as long as the wattage is right, it will work well with any speaker or amp, regardless of their impedance. The RockCrusher from Rivera costs almost three times as much as the PB-1, but it justifies that by allowing a lot more versatility. 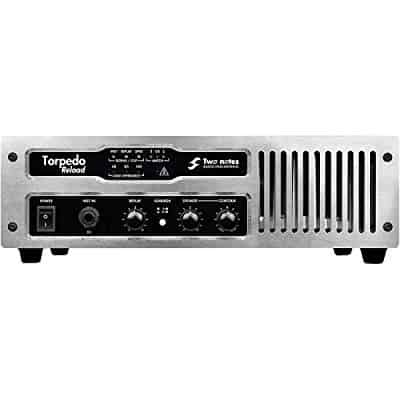 For one, it ups the maximum output power of the tube amp you can use it with to 120 watts. Furthermore, there are several more options that can help you tweak your sound to achieve the fullness and warmth you’re striving for. There are three toggle knobs on the front of the case. One lets you adjust the attenuation levels, one the volume of your output signal, and the last one the gain of another output you can hook up, be it a studio mixer or the second amp. It also has two equalizer buttons – one controls the low frequencies, while the other one controls the treble. You can choose between six different attenuation settings ranging from -4dB to -24dB. To prevent the speakers from burning out, you can also choose between an 8-ohm and a 16-ohm impedance. However you choose to tweak the settings, you’ll get a rich output sound that maintains the responsiveness of the original tone. The Torpedo Reload from Two Notes is a version of their popular Torpedo line of attenuators aimed at a more casual consumer. Still, at a rather high retail price, this is a professional-grade model that might be better to use at a recording studio than for practicing at home. That’s because it allows you to make excellent-sounding recordings while playing at a normal volume, without having to use expensive microphones. With a single press of a button, you can reduce the output load of your amp by -15dB. There are three additional toggle knobs that give you a lot of control over how you want your tone to come out of the speakers. The resulting sound is very rich and colorful without the eardrum-rupturing spikes you’d get by using just an amp. This versatile unit can work with amplifiers that have an output power of up to 150 watts. In terms of impedance, you can choose between 4, 8, and 16 ohms. And even though it isn’t very portable, the use of hard materials in the construction of the unit ensures that you can move it around a lot without damaging it. When looking for the best attenuator for your amp, the first thing most people will consider is how much control over the output sound it will give them. But there are two other very important things you should keep in mind. I’m talking specifically about the power rating and the impedance of the attenuator and whether or not they match your amplifier. Most guitar cabinets nowadays have an impedance of 4, 8, or 16 ohms. As you probably already know, the impedance of your amp must match with that of the cabinet. Otherwise, the difference in their efficiency may result in a speaker burnout. The same thing can happen to your amplifier if you use an attenuator with a different impedance rating. If the attenuator has two or more impedance settings, it is important to select the right one before powering up the unit. As a rule, most amps achieve a higher output power than the one stated on their packaging. For example, an effective 100W amp can sometimes create a load of 105 or 110 watts, if not more. But because it’s also important to match the power rating of the amp with the attenuator, you should always go for a model with an output power that’s at least a few watts higher. So if you have a 100W tube amp, you should consider getting at least a 120W attenuator. Otherwise, as with mismatched impedance, the amp might burn out. I hope this article has helped you find the best amp attenuator for your guitar-playing needs. Not only will a good attenuator help you create a rich sound at lower volumes but it may also extend the lifespan of your amp. Just make sure to go for a model that matches the impedance rating and output power of your amplifier.